Recently bought the Turnigy SJ4000 - the waterproof case is good all round, except the part where it protects the lens. I've only put GoPro because the case is similar (ish) no idea if the waterproof case can handle bb's. Anyway. tested it works alright no damage, shot with 330 fps about 15cm and point blank no damage at all. I bought the lens protector for my red dot had a spare so i just threw it on. The damage on the top was me trying to cut it down size.. but i don't have the right tools do it as of right now. Anyway; Originaly i tested the SJ4000 case it shattered straight away ( the lens bit). Got my second case and removed the circle plastic cover the lens from the original casing, as it might cause reflections / glare inside ruining the recording. works for me and i'm happy hope it works for you. 3mm is ideal for airsoft. You need to message him by the way, but he responds very quickly. 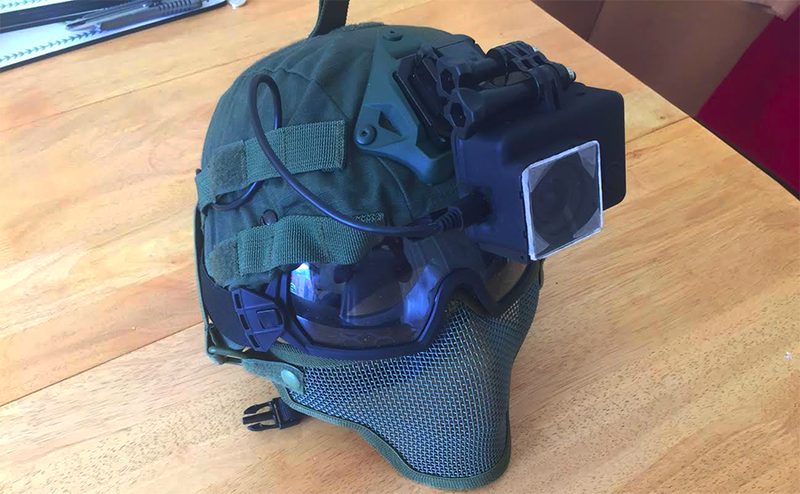 Naww man, don't be so odd, improvisation is king in airsoft circles, I think it looks awful, but its thoughtful and ingeniously executed. Yes it's what Proff suggested above. And that's harassment. Who's odd now? No, it's not " Calls person odd twice: 'That's harassment' ", it's: " Calls person odd in twice two separate threads: 'That's harassment' ". The cases on the "genuine" SJCAM SJ4000's (because there are fakes of go pro rip off's -.-) will take repeated hits to the lense area at point blank without cracking (ironically stronger than real GP's), so this is pointless unless you are using a fake fake. And on the off chance the lense does break, the cases are cheaper to replace than your little fix. You can buy them for £1.50. I've had my 3mm one get hit a lot. Make sure it's stood off from the edge with an o-ring as that takes a lot of the energy out of the impact. They will still break though, and that's why you buy 5 Not worth having something thicker on scopes as it begins to serious distort things. You'd probably be fine with a thicker one on torches though. Its not just the thickness its the material used. A lot of acrylics are brittle and will crack and shatter. If you use Makrolon polycarbonate it has a bit more flex and good impact absorbent properties. Painted it tacticool matte black. Drilled some holes for audio ( as the sj400 cases is a full seal and doesn't fit GoPro skeleton cases ). 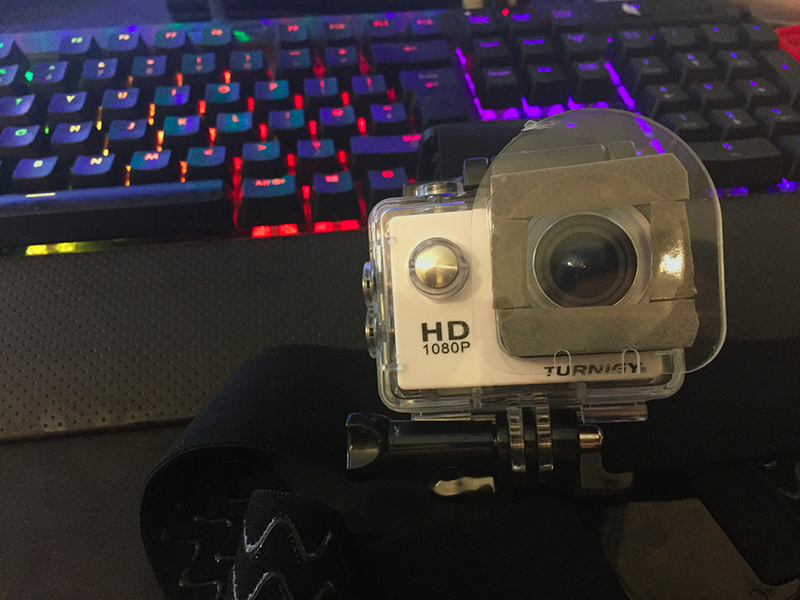 Made the "Lens Protector" more smaller for a better fit as originally I found out if it got hit on the overlapping corners it would just make it pop out. Made a hole on the side so i can use an external battery. Will be looking at poly-carbonate as a counterpart as @ImTriggerHappy mentioned its good on high impacts.